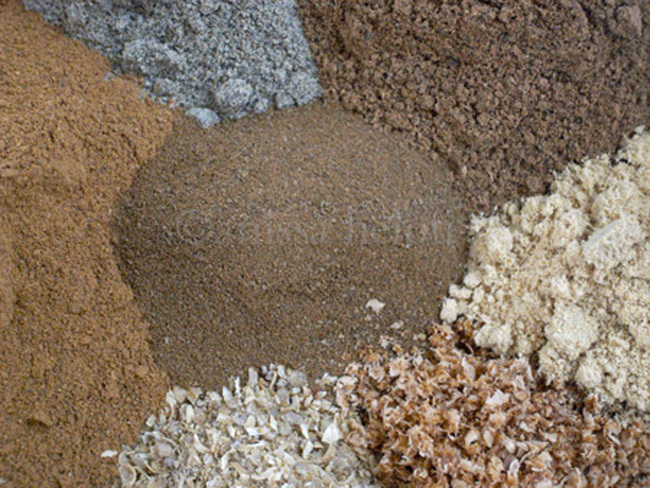 Yesterday, one of my readers asked about the Lebanese 7-spice mixture asking what it was made of and if I had a recipe. I remembered making it one year at WOF but for some reason I couldn’t find the recipe. So, I looked in some of my Lebanese books but I drew a blank. Then, I went online but most recipes included fenugreek which is a definite no no, so, I resorted to calling my mother in Lebanon. 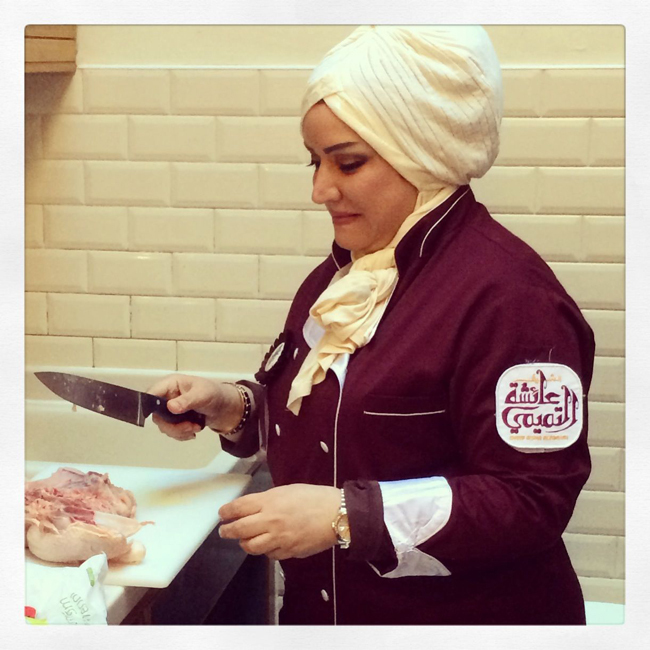 I knew she wouldn’t have a recipe – she would have given it to me otherwise for my Lebanese book where I only have a description of the mixture which varies from family to family and from one region to the other; the classic mix is made of ground black and white pepper, allspice, cinnamon, cloves, nutmeg and coriander. However, I also knew that she bought her spices at a great mat’haneh (a place where they grind spices as well as coffee and where they also sell pulses, grains and rice) near my uncle’s home in Achrafiyeh and I asked her to call them for the recipe. And being the best and most beautiful mother, she did. And for you Sam, here is the recipe which is slightly different from the one I describe in my book in that it has ginger! I had been wanting to meet Najaf Daryabandari ever since a London friend had told me about the fascinating lunch he’d had with him in Tehran. Najaf is a distinguished academic who has translated many classics and also written a two-volume tome on Iranian cuisine. My friend had lost his contact details but fortunately Nasrine, my Iranian friend knew him and it wasn’t hard to set up a meeting with him except that by the time I got to Tehran, Najaf was in the middle stages of dementia. He was still able to explain about his book and Iranian cuisine but his mind would wander every few minutes and he would fall silent for quite some time that by the end of my visit, I knew there was no chance I could cook with him. Still, I loved meeting him and his charming son Sohrab and like all Iranians, their hospitality was delightful. 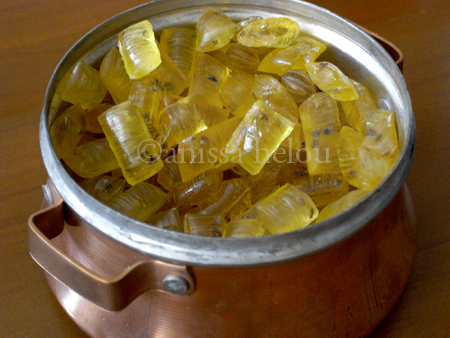 Amongst the many things they offered us with tea were these amazing cardamom-flavoured hard candy called abnabat. Nabat means sugar and ab water and the name literally means sugar water. 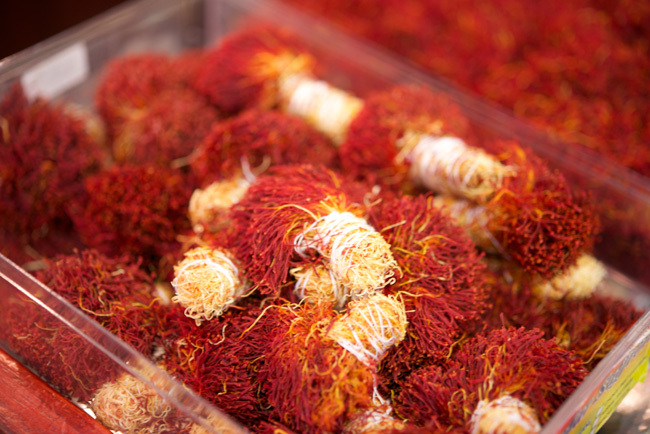 They can also be made with saffron which must be very luxurious or other flavourings. And of course, I immediately rushed to Tavoz to buy a bag which lasted a very short time. You can buy them online and I am sure you can also find them in London, perhaps even at Persepolis in Peckham, or other Persian shops!